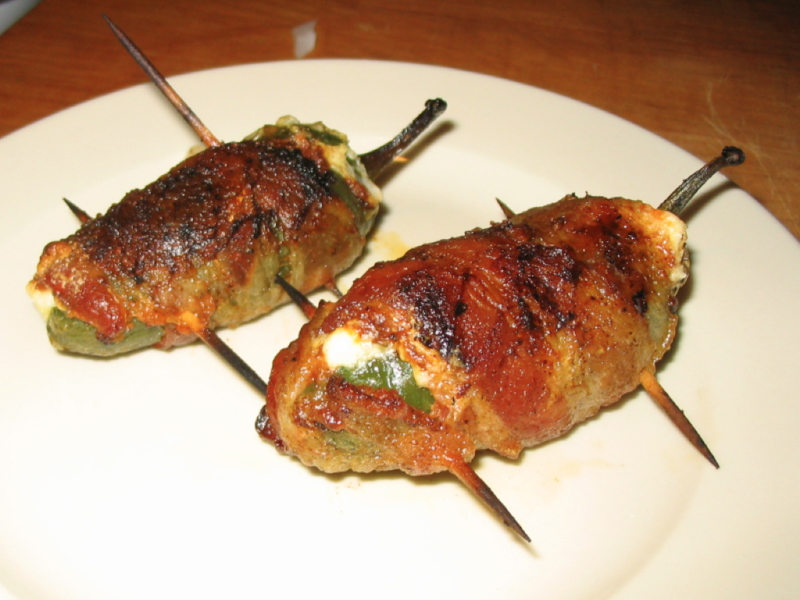 Jalapenos, Chorizo sausage, cheese and bacon make these stuffed jalapeno poppers taste like hot, spicy candy! Make lots, ‘cuz you’ll eat ’em all up! Also called “armadillo eggs” or “buffalo turds”, this unique recipe features spicy mexican Chorizo sausage. These… are… INCREDIBLE! Update 5/30/2011: This is one of our most popular posts with over 57,000 views since 2007. I’ve updated it with better pictures. Enjoy!